I've been recording and mixing for bands and solo artists for around 10 years. Love to make artist's musical aspirations a reality and take their music to the next level. I'd love to hear about your project and to discuss how I can help you make your art as great as it can be! I specialize in mixing rock, pop, electronic and acoustic music. I use a diverse range of tools to provide any song with exactly what it needs including products by Softube, Slate Digital, iZotope, Universal Audio all on a mammoth of a workstation computer. Using these tools I am able to capture vibe, color and warmth of analog gear when appropriate while at the same time maintaining the clarity and precision of digital recording. The most important thing to me is to get the music to sound the way the client (you) wants it to sound. To achieve this, I have the client submit reference tracks of other artists that represent the sound or feeling that is being sought after. Then, through a continual dialogue, I make sure that the final product, is exactly what the client was hoping for. It was so great to work with Nick, a great engineer, producer, and coach during sessions!! He made my original song come to life..It was exactly what I had envisioned! Nick pays attention to detail, is dedicated to his work, and creates such a joyful recording environment. Working with him to complete my team's album was a wonderful experience! I absolutely loved my time working with Nick on my team's album! He helped us figure out how to make our originals become what we envisioned them to be. He was super hardworking, flexible, fun, empowering, and a joy to work with! 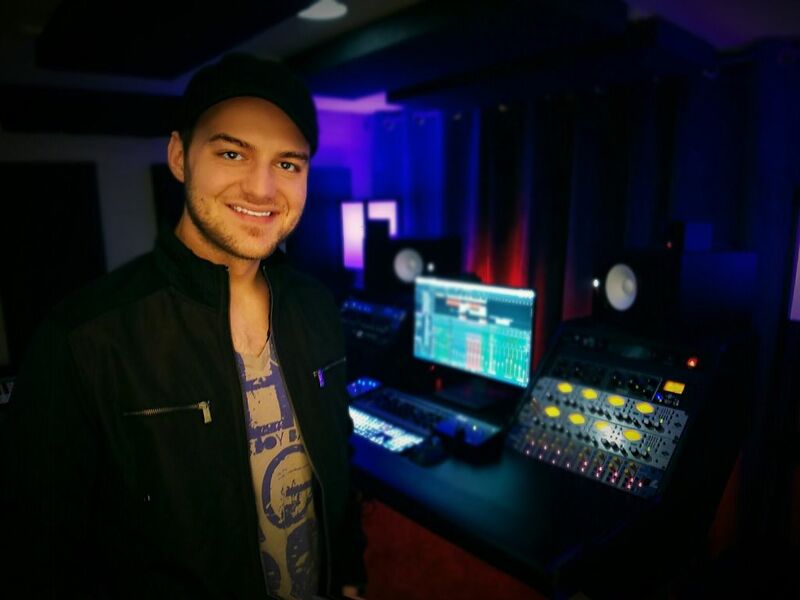 I've worked with other studio engineers throughout the country and this experience with Nick easily tops them all! I was able to work with Nick 2 years ago when I first started recording music. Nick was extremely encouraging, patient, and dedicated to making my music stand out. 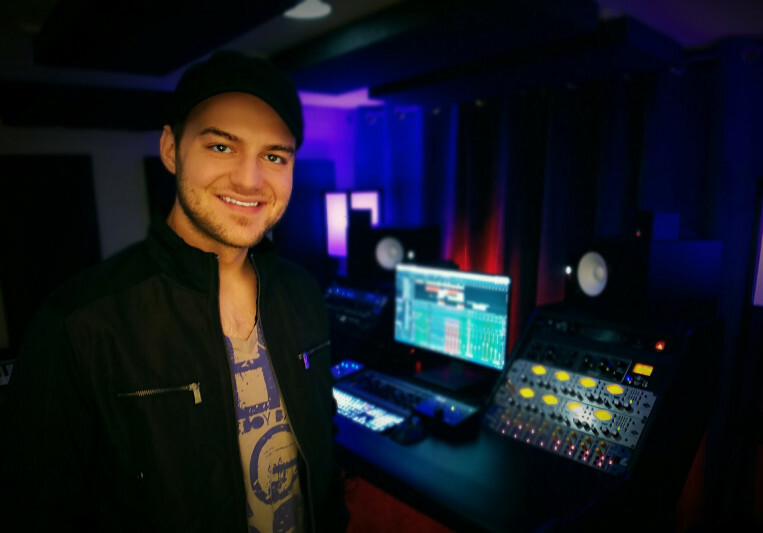 Not only is he incredibly talented in his ability to make music, but he also has an exceptional personality and ability to make you feel comfortable in his studio. Awesome experience!!! A: I work primarily in Presonus Studio One 3 and sometimes in Cakewalk Sonar Platinum. For mixing, I use a lot of Slate Digital, iZotope and Softube software and hardware including the Softube Console 1 which is my favorite of them all. I have a nice collection of preamps and microphones. The isolation booth, live-room space and mixing spaces are all acoustically treated. A: I love creating art, and being a part of someone else's creation process to make their vision a reality. A: There are a lot of people out there that do what I do and some of them are perfectly capable from a technical standpoint. What is far more rare is finding someone that makes the process enjoyable, is easy to get along with and makes you feel like a rockstar. A: Use your ears, not your eyes. A: I work on a lot of Christian, Folk, Rock and singer-songwriter projects. A: For projects I am recording and/or producing, I work with the artist to think outside of the box and take the art of the music to the next level. For mixing projects, I focus on creating the best possible balance of elements while also helping create the exact vibe the artist is looking for. A: Due to the marvels of modern technology, I mix projects for clients anywhere in the world. For local clients or those able to travel, I record/produce projects here in my Toledo, OH based studio. Finally, I also serve as a live sound engineer for concerts/conferences.